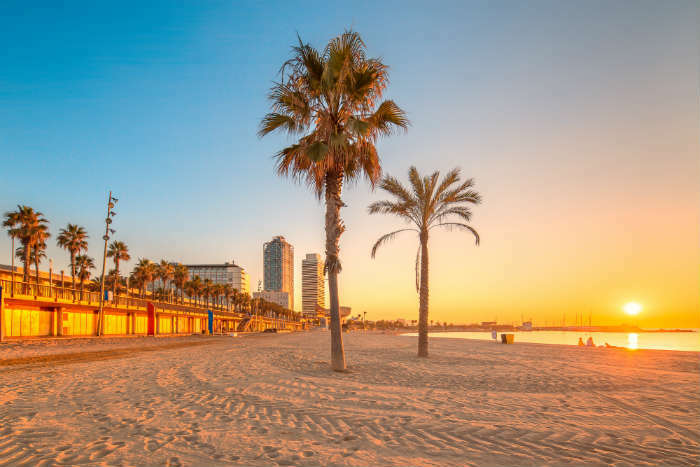 Yes, Barcelona is a huge cosmopolitan city, blessed with gorgeous architecture and cool parks but it also has an array of beaches that are perfect for soaking up the Spanish summer sun. Hop on a 2 hour flight from the UK and for 48 hours, you can bask in the warm weather on Barceloneta beach. This is one of the best beaches in Barcelona and is popular with the surfers and foodies of this Spanish city thanks to its great waves and the many beach huts along the promenade which serve up food and drinks well into the evening. Other beaches along Barcelona’s shores are Icaria, which begins at the giant, copper coloured fish sculpture – you won’t be able to miss it – or Marbella Beach which is officially a nudist beach but many people here still wear clothes or bathing suits. If you want more of a luxurious party vibe, head further south in Spain to the coastal destination of Marbella. This heart of the Costa del Sol is the perfect distance away from home to grab a weekend break and, with average summer temperatures between 24°C and 29 °C, you can soak up the warm sun at the same time. Playa de Rio Real and Bounty Beach are both close to Marbella’s centre, as are the beach bars and cafes which provide a spot of shade from the mid-day sun. When the sun goes down, Marbella is also home to some of the Costa del Sol’s most well-known bars which keep the party going well after the sun has set! 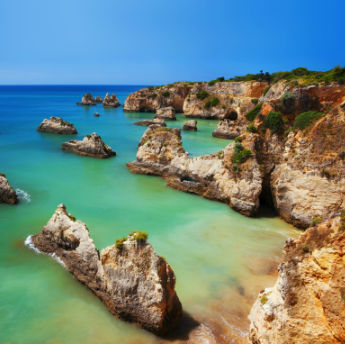 Slightly further afield is Portugal’s gorgeous Algarve. This region on the south coast of Portugal is great for those who want the choice of relaxing beaches or a bit of action and adventure. Quaint, sandy coves are surrounded by rugged cliffs that glow orange in the sun and the turquoise blue ocean is perfect for either taking a quick dip or for trying out sports such as stand up paddle boarding or kayaking. 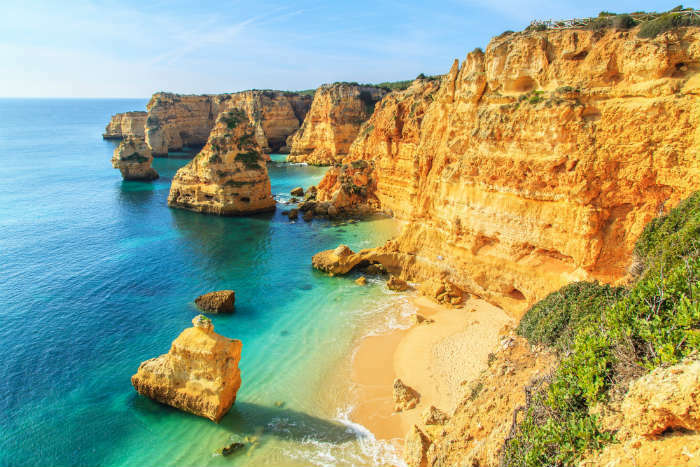 A weekend in the Algarve can be as relaxing or as active as you want, so it’s the best place if you’re going with a group of people who all like different things from a sun soaked weekend. 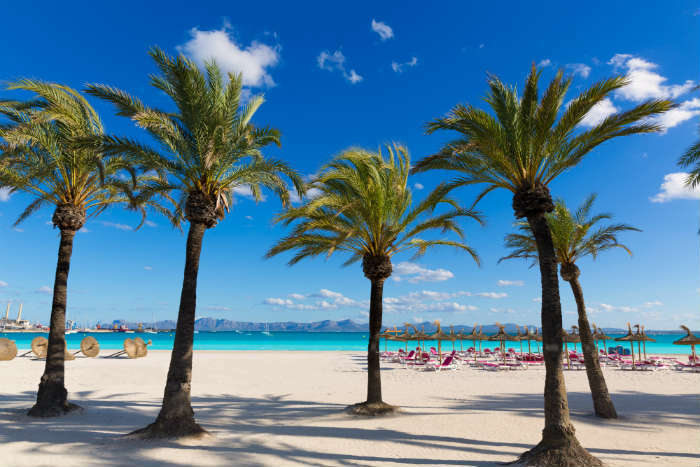 Majorca is a Mediterranean paradise and the perfect destination if you want to live the island life for a weekend in the sun. The average temperature over the summer months is 26°C – perfect for discovering all Majorca’s hidden coves and beaches. 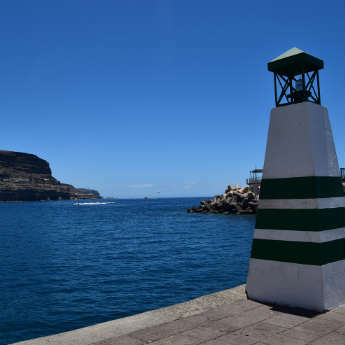 If you’re here with your family, Palma Nova is the destination to be with plenty of restaurants, a gorgeous beach and a great crazy golf course which kids, and big kids alike, will definitely enjoy. 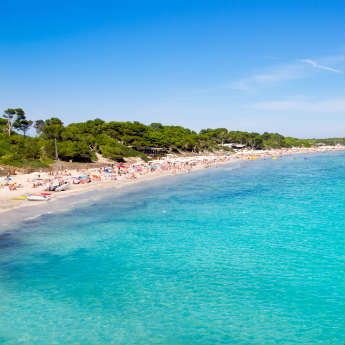 For a truly relaxing weekend though, Cala Bona is the relaxing fishing town where you can find a traditional Majorcan weekend away and a place that’s littered with idyllic, white sand beaches. However, if you’re part of the party crowd, there’s no question where you should be heading for a sun soaked weekend in the sun, Magaluf is calling your name! The furthest of all our sun soaked weekend breaks, but well worth the journey, is the Italian island of Sardinia. 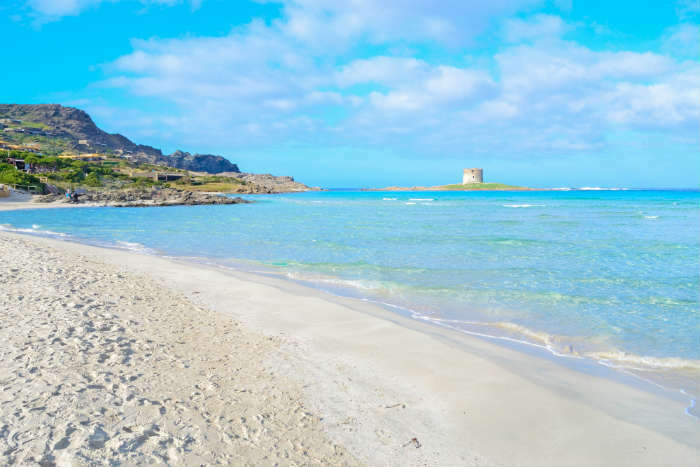 Just like Italy, you’ll find no shortage of delicious food and wine on this island but, unlike its mainland counterpart, Sardinia’s beaches are so concentrated that if you can’t decide which ones to visit, you can hop between a few each day if you wish to do so! La Pelosa Beach is one of the most beautiful on the island, if not Europe, and is overlooked by a watchtower which gives it that little bit more personality and atmosphere. Are you going on a sun-soaked weekend break this summer? Let us know in the comment section below!